You left before you could tell my heart how to say goodbye. 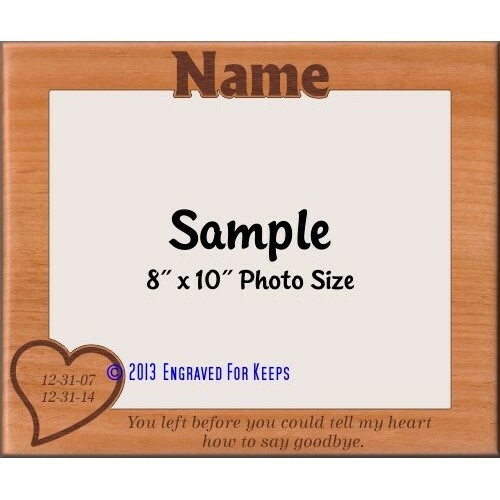 Space is available at the top of the frame for engraving a name or text of your choice. 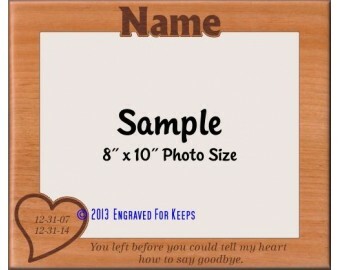 Optional dates can be engraved inside the heart.